During the past two years Americans have become introduced to a new lingo pertaining to the “deep state” and their criminal operations. As well, President Trump has cast illumination of who in government works for and against the American people. Alphabet soup never tasted so bitter as these intelligence groups together with the political and military left wing Marxist revolving door, once upon a time, escape artist, are now spotlighted for their Anti American socialist globalist agendas. 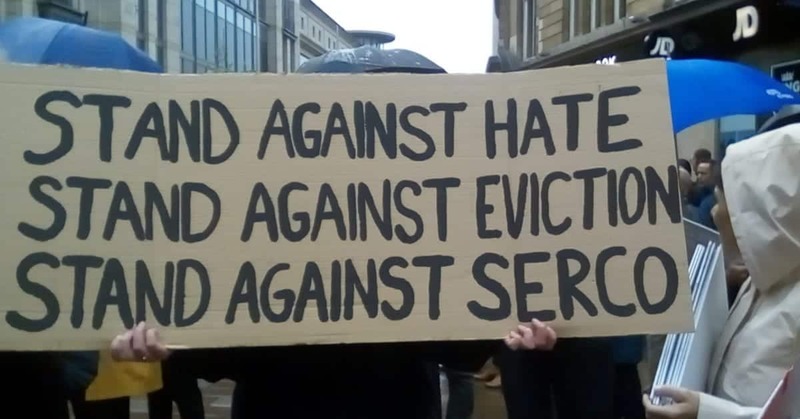 Its “soldiers on the ground” are employees of SES who guarantee that Serco gets the contracts, and then manages and oversees their continued involvement. America is not a sovereign nation with this arrangement —-> we are still subjects of the British Monarchy. SERCO a “global coup d’état” disguised as an international Science and Engineering Research Council (UK) is or should I say, was, their crown jewel of a coveted contributing factor in aiding and abetting this SES octopus of a weaponization force against the masses, hiding in plain sight. There are more than 60 million records that Serco handles for the Department of Homeland Security. Ninety percent of Serco’s business is with the federal government with 10,000 workers, across 45 states. 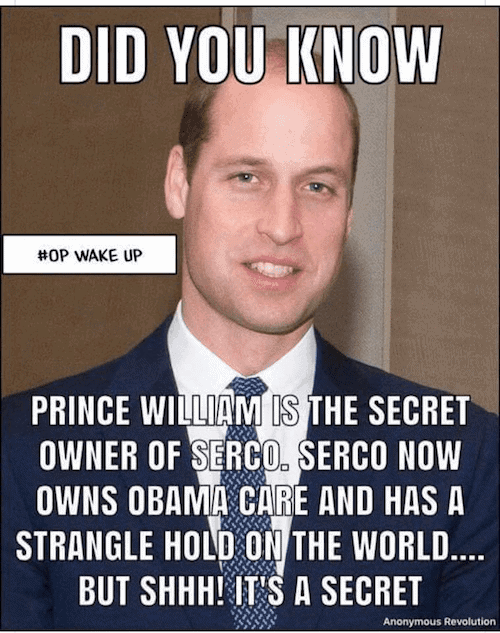 Serco owns the world, and as you gander through their listing of subsidiaries and corporate CEO’s, you get a picture at who some of these 1% ers are for they are a conglomeration of passionate Anti Americans with an evil and nefarious plot against the 99% of Americans and the world’s population. Just how deep does the deep state run and why were we outsourcing critical American infrastructure, ingenuity and private medical information on every U.S. citizen to sworn agents of the British Crown? Connecting these dots to Serco’s annual report published at Companies House in London provides critical clues about Serco’s obtuse mission. Such a bizarre collection of subsidiaries does paint a tapestry of high treason, sedition, espionage, and calculated malice by the deep state and their cult minions. More Here. 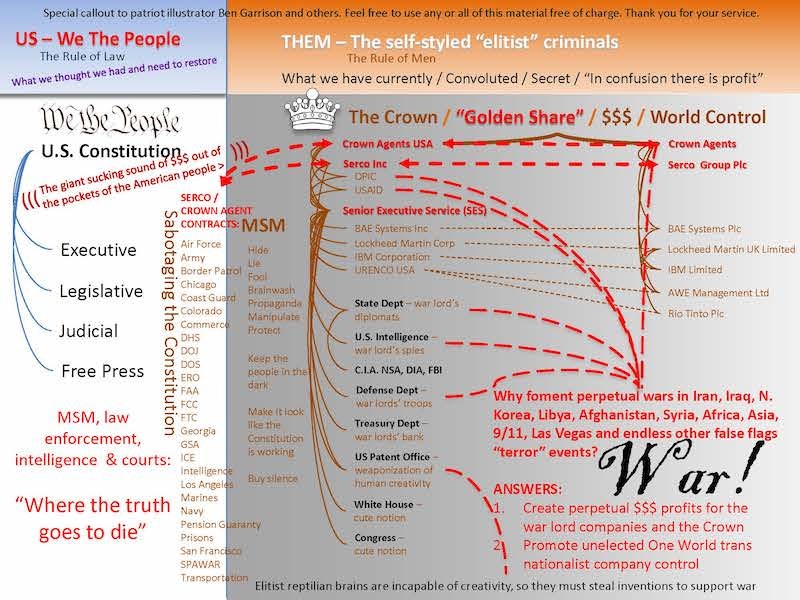 Constitution vs. Crown: This flow chart shows who, what and why perpetual War! is the goal and need of the Deep State shadow government. According to “American Innovations” report dated May 16th 2018, Serco is a Pandora’s Box of Corporations. “Serco builds nuclear weapons, provides housing for migrants, reviews U.S. patents, runs the Obamacare website, operates obvious money laundering shell companies in the Middle East, is teamed with Lockheed Martin, builds ships, manages massive IT infrastructure, manufactures space vehicles, runs job placement agencies, provides air traffic control to cities, runs rail services, manages parking meters overseas manufactures space vehicles, runs job placement agencies, provides air traffic control to cities, runs rail services, manages parking meters, oversees FEMA Region 9, manages courts and prisons, and runs sports and recreation centers. Huh? Are you kidding me, the likes of George Soros & Bill Gates who own Geo detention prisons which are linked to Serco. Digest that for a moment: U.S. federal records, personal medical records, patents, and visas are held by a company owned and directed by the British Monarch! This Serco list of 73 subsidiaries revealed a shocking correlation among: Serco’s business interests, the activities of Senior Executive Service (SES) and the monstrous “Internet of Things” patents filed by Richard C. Walker, Hewlett-Packard and Agilent Technologies. Serco’s 2015 press release announcing its deal with Obama. Without a doubt, this document should get any Americans, red, white and blue blood boiling, as it clearly shows the former President of the United States was giving away the office to a foreign power, this reeks of SEDITION!! Serco has 11 contracts with the U.S. Army, Navy, SPAWAR, Intelligence, Air Force, Coast Guard, Marines, US Border Patrol and the Transportation and Commerce Departments. Serco operates 58 U.S. air traffic control towers!! This is a BLATANT NATIONAL SECURITY ISSUE!!! Americans are capable of running our own airports. 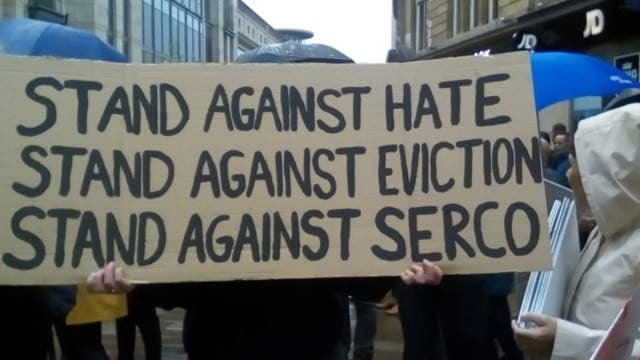 Serco has major contracts with the FCC, FTC, FAA, DOJ, DOS, DHS, ERO, ICE, GSA, Prisons, Pension Benefit Guaranty Corp and they even run U.S. Military boot camps. Serco runs major public works in Chicago, Colorado, Los Angeles, San Francisco and Georgia, ALL “Deep State” SHADOW government globalist strongholds. Georgia = IBM . Last year on Jan. 02, 2018, a British Crown controlled company named Serco Inc. was awarded a $610 million contract to manage FEMA Region 9 that covers the states of Arizona, California, Nevada, Hawaii and the Pacific Islands. “Serco is a leading provider of technology and management services. We advise, design, integrate and deliver solutions that transform how clients achieve their missions. Our customer first approach, robust portfolio of services, and global experience enable us to respond with solutions that achieve outcomes with value. Headquartered in Reston, Virginia, Serco Inc has approximately 8,000 employees and annual revenue of $1 billion. Serco Inc. is a wholly owned subsidiary of Serco Group plc, a $5 billion international business that helps transform government and public services around the world. More information about Serco Inc can be found at www.serco-na.com“. Serco manages all patents for the U.S. Patent and Trademark Office. Brits have the first shot at stealing American’s intellectual property rights. Serco controls the most sensitive data management systems in all branches of the military, federal government, state and local municipalities. Serco controls air traffic management, airlines security, airport management and all aspects of ticketing, visa data management, and timetable management. Records management and the process of applications and petitions at U.S. Citizenship and Immigration Services and Service Centers, processing via applications at the U.S. Department of State’s National Visa Center, and Kentucky Consular Center. Serco’s efficiency rating in England, Canada, and Australia is below 65% and many lawsuits have been filed against the company for egregious fraud and mismanagement. Serco was paid $1.2 billion to management the data of Obamacare, Why was this British company handling the American’s private medical information? Serco’s experience is in paper pushing, management, records, processing applications and visa’s, handling patents with the U.S. Patent Trademark Office.